There are a number of topics I want to write about related to Sonic Sandbox. Some of what I want to write about is about how Sonic Sandbox works. Some pieces will be about the theory behind the exercises/games I use. Some will cover my long terms plans. Some will lament (maybe even whinge) about my struggles in building Sonic Sandbox. Some will describe and reflect on my personal experiences. I’m using this post to provide an outline for topics I want to write about in the future within each of these subject headings. I will return to this post from time to time to update it as I think of new ideas or as I write some of the pieces, so I can add links. My first official Sonic Sandbox Workshop is behind me. I rented space. I advertised. Hung up flyers. Got totally frustrated with the idiocy they call Facebook. Used my email lists. Tried to contact everybody I know, and even paid for some Facebook outreach. When they talk about targeted marketing on Facebook, I now know what they mean, because I tried to target my outreach. We had a great time at the West Philly Suzuki Piano Studio. It’s a wonderful space. My son took some pictures and a video which I hope to post soon. Sometimes, even though I really believe in Sonic Sandbox, I’m amazed at how well it works. I look around at the group, and see the smiles on people’s faces and see how much they are into it and how free they are, and then I check in with myself, and even I’m not worrying about how things are going or whether I need to tweak something here or there, and I start relaxing and letting myself go, just like I created this for. I stop being facilitator; stop feeling like I’m always watchful, and trust the process and let myself go, because it’s working! You can sign up for it here. I was hoping and predicting that, based on the response to my initial marketing, I’d have five to eight people there, but there were three. That means I still have lots of marketing to do. It’s not my favorite thing because of the struggles managing lists and of course, dealing with Facebook. Can anyone explain how Facebook managed to take over the world with such a non-intuitive, crappy interface? It is the very definition of kludge. You can barely say it works, and yet, it has taken over the world. One can only hope that the competitors in China or India or elsewhere will manage to establish roots in the US and show Facebook how things really should be. The amazing thing is that with four of us, the energy was incredible! We did a kind of debriefing afterwards, because I wanted to know what people thought about both the workshop and my outreach, and the folks there were really helpful. Honestly, I don’t really remember what people said about the workshop itself, but my impression was that it really matters what I say to set up people’s expectations. When I say that we are here to support each other to freely express ourselves, people believe me and actually take that to be true — simply because that’s what we really want to do. Who wants to live constantly worrying about whether what they do is acceptable? I think some people might fear that if we all just let loose, it’ll be chaos. The thing is, Sonic Sandbox isn’t chaos because of the emphasis on listening and copying. There’s space both to let loose and be all in with your energy, but also to be supportive and create a strong foundation for others to let loose. If we take turns, and share in the responsibility for caring for everyone else, what happens is not chaos. It’s beautiful, but with an authentic energy I haven’t really heard anywhere else. The feedback I got about marketing was that the thirty-something generation is more of a “drop-in” generation. In uncertain times, it’s hard to make a commitment to ten sessions, knowing that you’ll probably not be able to make it sometimes. As a result, I think I’m going to open my sessions up to drop-ins. I really want people to come regularly because in my experience, when we work with the same people again and again, and we practice regularly, we get to know each other better (which is mostly the point of these workshops) and we can take more risks and express ourselves ever more deeply. When people take risks, the music gets more and more incredible! When we know each other better, we can start to predict what others are going to do, and that anticipation means we are more in tune with the energy of the moment and everyone latches on to a new direction that the music takes more quickly and more powerfully. Still, even without knowing each other, the workshop works well. I’ve taken it to several conferences now, including one international conference, and while my groups seem small to me (fifteen people at best), the energy people experience and the high they get from the work/play seems really deep. I’m almost afraid to have a big group because I don’t know if it could be the same — I’d have to learn how to break it into smaller groups, I think. But still, that would be a wonderful problem to have. So I need help. I need help reaching out to more people in Philadelphia. I need help figuring out how to price the workshops in a way that makes it easier for people to participate, but also encourages people to make it a practice. Obviously, if I have people coming regularly, it generates more income for me, but I truly believe that practice is also going to make the impact these workshops have on individuals much stronger. One suggestion at the confab after the workshop was that I could charge a regular individual workshop price (which is currently $25) and then offer people discounts if they are willing to pay in advance. In any case, one person signed up for the ten sessions, and one person gave a donation, which covers my space rental for the month. I still have expenses related to marketing and instrument purchases that will take more income to cover. I share this because I want people to know where I’m at, financially. I also have expenses related to the conference attendance. So far, I’ve been able to get funding to cover my attendance at these conferences. I had thought that maybe they pay for presenters, but it turns out that’s not the case, but I feel like breaking even is a decent goal for me at the moment, since I do love this work. In the works is a letter of inquiry for a grant proposal where this Foundation that is interested in supporting community-building arts work would do a documentary about Sonic Sandbox. If I get that, then people who participate would have a chance to have their participation filmed. I’m sure that for some that would be a great inducement to participate, although others might find that a bit scary. Ideally, I want to be able to find ways to help everyone be comfortable, and I hope I will always be open to suggestions to make the experience better and to meet people’s individual needs. That doesn’t mean I can succeed at all that, but I want to be open to feedback, and I think I will be, as long as it follows the Sonic Sandbox guidelines in terms of being supportive. That’s a lot more news that I was expecting to impart when I sat down to write this. One more thing on my schedule is the iNAPS conference in Phoenix on October 16-18th. I’ll be doing a workshop there on the 16th, in case anyone will be there, too. Thirty years ago, give or take a month, I arrived in West Philly to look for a place to rent. I looked at a place on Windsor avenue, across the street from where I live, now. I had just graduated with a degree in Labor Relations, and I was moving to Philly because my girlfriend was going to Grad school at Penn. I was looking for work with a union. One of the things that I thought would help in locating a good place to live was to interview people living on the street about what it was like. The person I interviewed is now my next door neighbor, and her husband was working for a union. What more did I need to know about the block? That decision changed my life forever (not that every decision you make doesn’t change your life in the same way). It led to me finding a cool place to dance, which led to meeting my wife, which led to more dancing, which led to music returning to my life when a car accident made it impossible to dance. Which led to…. And led to…. And so on. When we moved into this house after we married, 48th Street was the edge of the gentrified area. Now, I have no idea how far it extends, but it’s a lot further out. 50th? 52nd? When we moved in, it was a pretty quiet area that focused on each block, in terms of most community activities. This was even before Porchfest. How cool are we now? The band that eventually became Sonic Sandbox started a little over a year ago, when I started jamming with a few friends. When we started, the others weren’t sure what they wanted to do, but I had an idea about how we could improvise together, which is what I wanted to do because playing music that other people know makes me feel judged, and feeling judged makes me not want to play. I don’t want to be compared to anyone, because I’m convinced I won’t compare well, and I’ve used that feeling to hurt myself a lot in the past. Instead, I wanted to get together to improvise because when you improvise, nobody can tell you that you didn’t do it the way it was supposed to be. I had a few musical games in mind that we could use to start us improvising, and we started using them to jam together. We tried doing other people’s songs once or twice, but we kept going back to the improvisation, especially as the others came to understand the process better. Playing at Porchfest was perfect for us, because they just wanted people to make music. They didn’t care about your experience. No one was getting paid. We were all on our own to make things go. But is was a community thing. Strength in numbers. The intangible feeling of support you get knowing that everyone knows this is happening and a lot of other people are out there playing or listening. It’s such a West Philly thing for me. In the end, I started talking about what I find so cool about West Philly. Porchfest is a perfect example of that kind of thing. It’s all about people not judging each other. It’s about setting up community, connecting to others and not judging. Not criticizing. There’s an awful lot of creativity in this community, and that’s no accident. Creative people locate here because it’s a safe place to play, to express ourselves and to live the way we want to without others judging us. I’m not saying there are no limits, but the limits are a lot more flexible here than in many other communities. West Philly is an oasis for many people who get stigmatized and judged for being who they are in a lot of other places. I told myself that playing on our porch was just like any other time we get together to jam. We’re just playing, and we’re doing it so we can get out of our minds and into that place where we become part of something larger than ourselves. It doesn’t matter if others like it or don’t. We’re doing it for fun. Of course, having support does make a difference. So when an audience started filling the chairs I had put out, it gave us a lift. It’s nice to be able to play for others as well as ourselves, and we knew people were there by choice. They could get up and leave any time they wanted, but they could also stay, and stay they did. I think we were all grateful for the people who listened to us having fun playing together. They were fellow players in the sonic sandbox, and some of them even joined us. We take inspiration from any place we can, and once we started like a pack of dogs, because my neighbor’s dog was barking. Listen hear: https://sonicsandboxbanddotcom.files.wordpress.com/2016/06/porchfest-sonic-sandbox-number-4.mp3 It may have started in an unusual way, but what it turned into had a lot of energy, and that’s true for most of what we do. I think it helps to understand our process when you listen to us. It’s not just about pretty sounds. It’s about accepting sounds. When we accept the sounds we hear, no matter how we might judge them if we were in judgement mode, we can take them to places we’d never go otherwise. That means we have to ask an audience to give us a chance. Don’t give up in the first couple of minutes. It might take us a while, but we will find some place cool, musically speaking, to go. It’s just that we have to wander around in trackless spaces for a while before we can agree on what path to follow. I have fond hopes that people will enjoy listening to us wander, and then be amazed at the incredible scenery we find when we agree on a trail to follow. Whether or not people listen to us that way, we can still have fun wandering around together and creating a path through the places we’re exploring. We can do that, and we can lead others in doing that through our workshops, and others can watch and listen to us doing that in our performances. What’s important is that we do it. It’s a spiritual practice for us, and as long as we do it, we’re better off, and if we can share it with others, either as participants or as audience, there’s a chance that others will be better off, too. That’s my hope. From time to time, I will post my thoughts about playing in the Sonic Sandbox. The charter membership is made up of three or four of us. We all met in the “recovery rooms,” which is jargon for the rooms where people meet at twelve step meetings. Because we met that way, we may or may not actually know each other’s names. The key to twelve step recovery is anonymity. Most of us only feel safe enough to talk about what is really going on inside when we have some measure of protection about our deepest shames becoming public knowledge. For that reason, I only know the first names of the people I play with in the Sonic Sandbox. I will also not be able to provide any more details about what kind of twelve step group it is, nor what troubles we are dealing with that brought us together. I hope that won’t matter. What is important is that playing in the Sonic Sandbox has become a part of our recoveries. 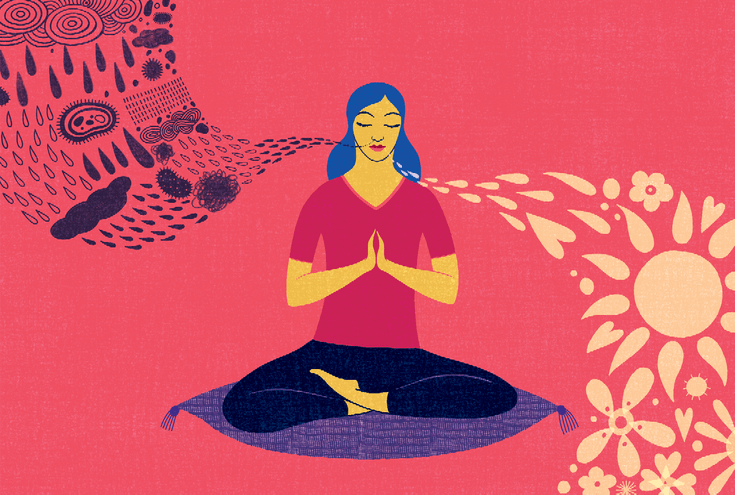 It is a coping technique that helps us learn to change our habits from ones that are destructive to both us and the people we love to ones that, we hope, will be a lot healthier. The idea of making music together, I believe, was first discussed by Bob and Kurt. Bob plays electric violin and Kurt plays electric guitar. Bob also told me that Kurt was a singer. When I heard they were going to do some music together, I decided that I wanted to crash that party. I wanted to play with other people, because I had stopped playing for over a year, as a punishment to myself for harming people I loved. This was an opportunity to get together in a way that wouldn’t contribute to my problems. In the past, music had opened the door for me to get into trouble. I knew I needed music because of what it does to my brain. I helps me access my sense of connection to others. As such, it directly counteracts the feeling of loneliness and isolation I was living in. It gave me respite from despair and hopelessness. It provided a few moments of relief from what felt like a black hole in the pit of my stomach, that was slowing down light as well as weighing me down. My life, for a time, felt slow and miserable and impossible — except for those moments when I was connected to others, primarily through music. Then, I decided I was such a bad person, that I didn’t even deserve any relief at all. I stopped playing music. I stopped dancing. I stopped socializing. I stopped talking to friends and family members. I stopped working. I stopped using the phone. I simply couldn’t. Finding people I felt safe to be with and to make music with was a miracle for me. It started at my house. Kurt and Bob and Ralph started coming over on Tuesday evenings to play together. Not all of them every single time. Sometimes it was only two of us. I used my background in improvisational music to come up with games that would help us develop a practice. At first, we didn’t know what we wanted to do. We thought about writing music or songs. We thought about being a rock band. We’re still open to any ideas that anyone wants to bring to our practice, but mostly we started playing together using these improvisational games I either borrowed from others I have learned from, or that I made up myself. I started recording our sessions, and then listening to the recordings, and after a while, I started thinking that maybe we had something that other people would enjoy. Maybe we were developing a process that could help others gain the benefits we were gaining. Maybe we could play for others and with others in more public situations. To date, we’ve played for others in a formal way three times. We’ve given the workshop once in a formal setting (a twelve step group retreat). We enjoyed ourselves on each occasion, and we also got some positive feedback, which felt good. The workshop went over very well, and our last performance generated an amazing amount of energy. It got a group to get up out of their audience roles, and some played music with us, while others danced. It was a regular party! I am beginning to see a future for this play for us. We can do the workshop at parties, or for people interested in learning how to make music together (no experience required). The workshop is also good for people in recovery, both from addictions and from mental illnesses. It provides a coping technique that gives people relief from the pain these things can bring. Performing also brings people together, both as audience members and participants. It provides another way to connect with others, and, I hope, it helps to break down judgmental barriers that often come between us. It is great fun for us to be the spark plugs that generate the energy of connection within groups of people we do not yet know. So, from time to time, I will post my descriptions and reactions to these events — our practices and our outreach to others. This may primarily be my thoughts, but I hope that other members of Sonic Sandbox will also want to post their thoughts, too. Until next time… I hope we can play in the sonic sandbox together one day soon.